Do you know a good dentist? I was asked this question six years ago by Dr. Bob McGee of North Kansas City Rotary. When I told him I was related to six, I think he almost fainted. But, this question and a subsequent discussion lead to a medical and dental mission trip to Jamaica for my husband and myself. There we treat the Jamaican people with their medical and dental needs. I'll have to say that it is the most rewarding week of my year. Vocational Service is one of Rotary’s Five Avenues of Service. Vocational Service calls every Rotarian to contribute their vocational talents to the problems and needs of society. However I find that the area of vocational service is the hardest to achieve. Well guess what? Today, I have been approached by two different Rotarians with an opportunity for vocational service...at home and abroad. First at home: The Missouri Dental Association will have a free dental clinic in Kirksville, MO, the first weekend in August (3rd & 4th). The Missouri Mission of Mercy will be held in the Pershing Arena on the Truman Campus located at 1300 S. Franklin. Rotary clubs in the 16 NE counties of Missouri have been most supportive of this initiative. I understand that this group is in dire need of dentists to serve this weekend. 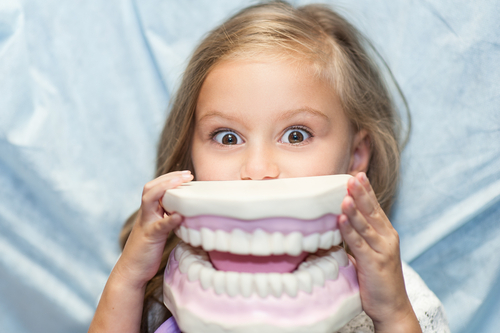 Anyone over the age of 5 will be treated with x-rays, cleanings, fillings and extractions. MOMOM.org has more information. Online registration has closed; but you can register on site. If you need more information, please contact Paul Roberts at paul@modentalmail.org or 573-291-3285 or you can contact Elsie Gaber from the Kirksville Thousand Hills Rotary Club at egaber5252@gmail.com or 660-349-9224. Now abroad: That Jamaican trip that I love to go on each year is also in need of dentists. This years trip is February 9-18 and we travel the remote areas of this country offering cleanings, fillings and extractions. If you would like more information on this trip, please contact my dentist, Rolfe McCoy, at rolfe@msmdental.net or 660-752-3900. So, if you see your dentist this week and think they might have an interest in serving, please pass this message along. These are very inspiring opportunities.